We provide quality and affordable services such as bridal and traditional makeup, eyelash extensions, gele tieing for owanbe events etc. along with sales of quality makeup products. Got an event? 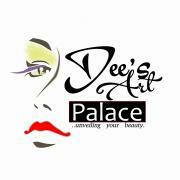 Get in touch with Dee's Art Palace.